Known for piloting their top fuel dragsters and funny cars at more than 300 mph in National Hot Rod Association competition, Kalitta Motorsports drivers JR Todd, Richie Crampton and Shawn Langdon also have been known to get their competitive juices flowing as avid league bowlers. The three NHRA stars, who will be competing this weekend in the JEGS Route 66 Nationals at Route 66 Raceway in Joliet, Ill., spent Thursday afternoon with 12-time PBA Tour winner Sean Rash at Parkside Lanes in Aurora, Ill., getting a few tips from the former PBA Player of the Year in hopes of improving their games. All three drivers bowl in a “Racers” league for drivers and crew members at Brownsburg Bowl in Brownsburg, Ind., where several NHRA teams are based, during the off season. “I grew up a block away from Durbin Lanes in Lawrenceburg, Ind., so it was only natural to hang out there,” said the 36-year-old Todd who holds a 180 average. “At first I went there to play the video games but then I thought I should give bowling a try. After a while I really got into it and eventually joined a junior league and was in a junior travelling league when I was in high school. It was a lot of fun so I’ve stayed with it ever since. Todd must have been a quick learner as he proceeded to post games of 217 and 220 during an informal match between the three drivers and Rash. Rash also had admiration for the drivers. Also on hand was FOX NHRA pit reporter Amanda Busick who was taping a bowling feature for the FOX telecast of the Route 66 Nationals this weekend. PBA will join NHRA as part of the sports lineup on the FOX family of sports networks in 2019. The bowling feature is scheduled to air on FS1’s Route 66 Nationals coverage Sunday between 5:30 and 8:30 p.m. ET. So far this season Todd has won twice in NHRA’s funny car division and Crampton has one win in top fuel. For additional information about Todd, Langdon and Crampton check out their bios: JR Todd - https://www.nhra.com/drivers/j-r-todd/981; Shawn Langdon - https://www.nhra.com/drivers/shawn-langdon/151, and Richie Crampton - https://www.nhra.com/drivers/richie-crampton/956. 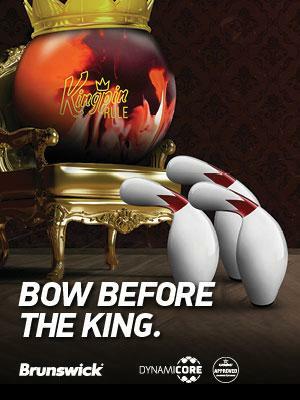 Read more in PBA Spare Shots.